*Aside from wreaking havoc throughout the eastern seaboard, Superstorm Sandy disrupted the New York entertainment scene, including Broadway, talk shows, concerts and even fashion shows to be cancelled or postponed. New York City officials said that all film permits for Monday and Tuesday were revoked because of the storm and associated safety precautions. “There will be no city authorized outdoor filming within the five boroughs,” read a statement Monday from the Mayor’s Office of Film, Theatre and Broadcasting. 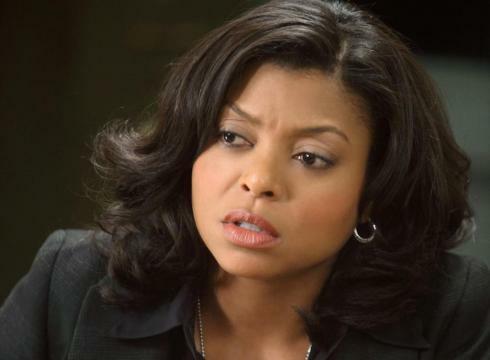 Production was affected on several TV shows, including Taraji P. Henson’s ”Person of Interest,” ”Smash,” featuring Jennifer Hudson this season, and Vanessa Williams’ ”666 Park Avenue.” “Gossip Girl,” and “Elementary” also saw production stops, while ”The Daily Show” and “The Colbert Report” took Monday night off. All 40 Broadway theaters will be dark through Tuesday. “I take it that the irony of a massive storm holding up the production of ‘Noah’ is not lost,” tweeted actress Emma Watson. Jimmy Kimmel canceled his late night ABC talk show Monday. He was scheduled to host his Hollywood-based “Jimmy Kimmel Live!” all week from Brooklyn, where he was born. ABC said the network was hopeful Kimmel’s show would return Tuesday with guests Howard Stern, Tracy Morgan, and Sharon Jones and the Dap Kings. David Letterman and Jimmy Fallon taped their talk shows without audiences. ABC stuck to its schedule of new episodes of “Dancing with the Stars” and “Castle.” Fox broadcast a previously scheduled rerun of “The X Factor,” which had been planned if the San Francisco-Detroit World Series ended, as it did, in four games. It was the most detrimental storm for the theater community since the threat of Hurricane Irene in late August 2011 prompted producers to cancel matinee and evening performances on both a Saturday and Sunday.